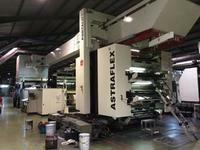 Print possibilities 8 colors flexo + 1 rotogravure. 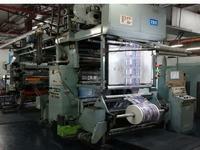 9 col printing or 8 col printing and 1 for cold/hot seal or laquers. Drying 4 Gas burners 4 fans. 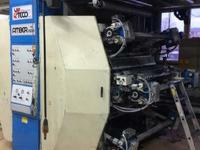 Flexo unit drying: 2 zones one for inter- color flexo on CI and second is a 5m long drying tunnel. 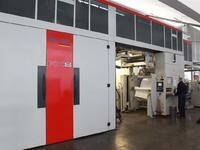 Rotogravure drying: 2 drying hood 6m length eachwith independent ventilations and heaters. tot 12 m.